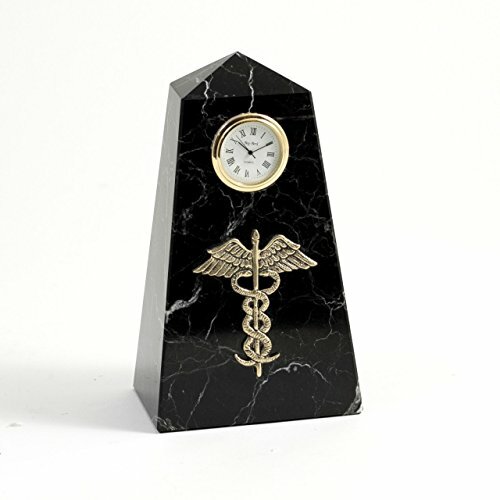 The perfect desk accessory for the medical professional, this handsome black "zebra" marble obelisk shaped base features a quartz movement clock and gold plated caduceus emblem. Measures approximately: 3.25"W x 2.5"D x 7"H.
The perfect desk accessory for the medical professional, this handsome black "zebra" marble obelisk shaped base features a quartz movement clock and gold plated caduceus emblem. Measures approximately: 3.25"W x 2.5"D x 7"H.